My name is Dr. Ilan Lieberman, I’m a Consultant in Pain Medicine and Anaesthesia at the University Hospital of South Manchester (UK), which is an NHS Foundation Trust. I work mainly in Pain Medicine. I was initially attracted to a career in Pain Medicine after I saw a particularly bad case of CRPS in an outpatient clinic as a junior doctor. I have had an interest in the management of CRPS ever since. I studied medicine at The London Hospital Medical College from 1985 qualifying in 1990. I trained in Anaesthesia in the North West of England sub specializing in Pain Medicine at Hope Hospital Salford and spending a year as the Fellow in Pain Medicine at the Walton Centre for Neurology and Neurosurgery in Liverpool. I was appointed as a Consultant in Pain Medicine and Anaesthesia at the University Hospital of South Manchester NHS Foundation Trust in Spring 2000. I developed an interest in mirror therapy following a Sunday morning educational breakout session on CRPS during the International Association for the Study of Pain triennial meeting in Sydney in August 2005. Lorimer Mosley, Candy McCabe and Prof Ralf Baron ran the session. It was an inspirational morning. I had only read of mirror therapy prior to that morning. 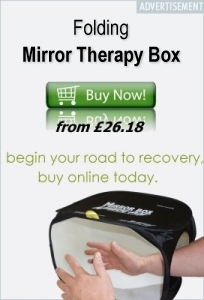 During the session I texted our senior nurse back in the UK to book a clinic full of our CRPS patients and on my return from Oz I began using mirror therapy. The results in our service although far from miraculous have been impressive and the therapy has found a permanent place in the service for all patients presenting with phantom, CRPS or neuropathic hand problems. We see many of these patients as the hospital is a supra regional centre for hand injures. 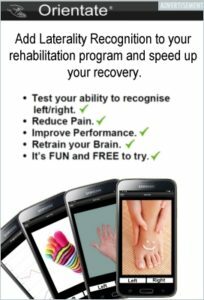 What has also become apparent from our work with the hand physiotherapists is that mirror therapy is also very useful in routine hand rehabilitation following hand surgery. Research to demonstrate this is ongoing. My interest in mirror therapy has now lead to establishing joint research with the Advanced Interface Group at Manchester University in 3D virtual reality environments. When not obsessing about work I am happiest at home with my wife and young children who are remarkably tolerant of my ongoing affair with all things medical and without whom my world would be a very pale environment.